There are many task manager apps out there but Wunderlist remains our favorite with its eye-catching design and a set of handy tools. The option to assign tasks to specific people and monitor all parts of your team’s projects alone makes Wunderlist arguably the best task management app out there. Wunderlist is simple and comes with a minimalistic interface to help you create as many lists as you need that instantly sync between your phone, tablet and computer, making them accessible anywhere. In addition, the app makes it easy to start conversations about your to-dos with family, friends and colleagues. Also, you can attach photos, PDFs, presentations, and Dropbox files to share your work and delegate to-dos. Finally, Wunderlist is equipped with a reminder function to ensure you never forget important deadlines ever again. Wunderlist is free to download and Wunderlist Pro is available for under $5 to help you experience even more: unlimited access to files, subtasks, etc. You can find the app for iPhone, iPad, Android, Mac, Windows Phone, Windows, Chromebook, Kindle Fire and on the Web. Last week, Wunderlist introduced Wunderlist for Chrome. With this new functionality, you can replace your new tab page with a lightweight version of Wunderlist that lets you quickly add new to-dos straight into your Inbox. What Sparks Our Fire: A simple tools for team collaboration and task management. 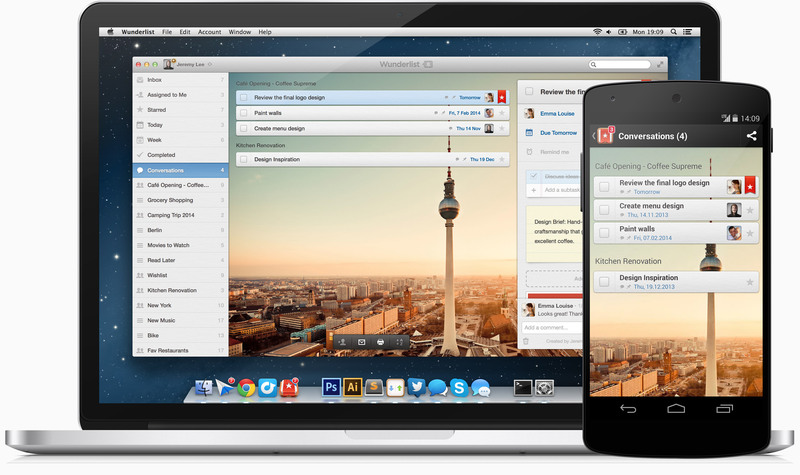 Have you ever tried Wunderlist? Share your experience.